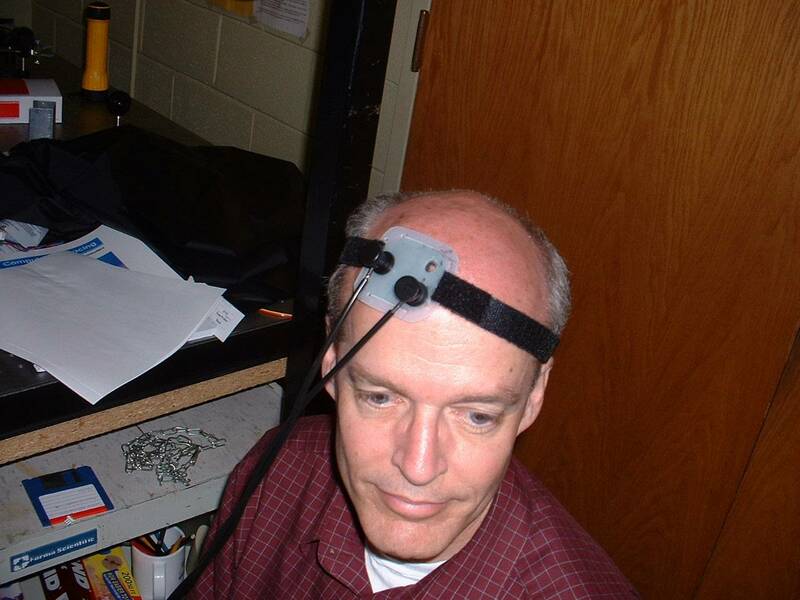 Near infrared spectroscopy of cerebral activity. Here the goal is to track cerebral hemodynamics for functional monitoring. Professor Berger's present contribution is on the fundamental level, trying to reduce remove competing sources of biological "noise" in the signals. Raman (micro-)spectroscopy of biological materials. The general goal is to measure levels of important chemicals in biological samples such as single cells (e.g. immune cells) and bone tissue (both excised and in vivo). Raman spectroscopy provides a "chemical fingerprint" that can detect subtle changes in cell status or predict mechanical properties of bones. Angular scattering from cellular organelles. Elastic light scattering can detect size changes in cellular contents with nanometer sensitivity. Angular scattering measurements have been combined with Raman spectroscopy to create a multimodal microscope for characterizing single cells. This project involves the most fundamental optics investigations, and is deeply linked to topics of interest in the Brown and Alonso research groups within the Institute. Dr. Boyd is interested in the development of photonic biosensors based on the idea of enhanced sensitivity through use of high-Q disk and ring resonators. The primary research venture in this area is the design of optical biosensors. 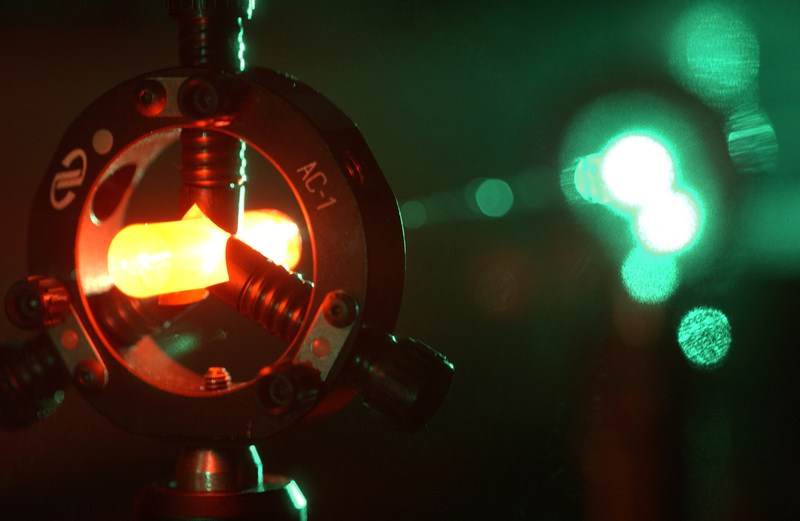 Professor Boyd's technique is to fabricate optical resonators that can be exposed to the presence of biological pathogens. The presence of a pathogen on the active area of the sensor can lead to an increased optical absorption. For a high-finesse optical resonator, even the small absorption resulting from the presence of several tens of biological molecules can produce a large change in the power circulating within the resonator. Fabrication in glass, in gallium arsenide, or and polymers are being pursued as parallel efforts. Another of Dr. Boyd's areas of interest are the development of new microscopic methods based on nonlinear optical techniques, including the design of nonlinear optical microscopes with increased sensitivity for detecting weak phase objects. Scattering of biological tissue makes deep imaging impossible for traditional fluorescence microscopy. Nonlinear optical microscopy overcomes this limitation because nonlinearly generated photons from a focus can be readily assigned to their origin. Research in Professor Renninger’s lab focuses on designing robust and low-cost ultrashort pulsed optical sources at new wavelengths designed for generating high resolution images deep within biological tissues. Optical source development is particularly needed for imaging deep within the brain, for example, which is a major and exciting scientific challenge. The Optical Diagnostics and Applications Laboratory (ODALab) develops innovative instrumentation for the exploding field of biomedical optics. Specifically we focus on the development of state-of-the-art Optical Coherence Tomography (OCT) or Microscopy (OCM), such as Gabor-domain OCM, which enable non-invasive imaging in cellular and sub-cellular class. The challenges in OCT/OCM are multiple: micron-class effective axial resolution is required for imaging the tear film of the eye for dry eye patients for example, a growing serious health issue across all races, genders, and ages. Keracotonus, a corneal disease, may best be treated if detected early, which may be enabled by OCM. Optical volumetrically imaging of skin at micron scale resolution requires high lateral and axial resolution - recent breakthroughs in our lab are bringing forth these optical technologies at a level of performance that will support in the future these different applications. Doppler-OCT and OCT-elastography, both functional imaging techniques, are also being investigated in the ODALab. The University of Rochester Medical Center houses the laboratories of Professor Foster's group, who investigate a number of biomedical optics problems related to photodynamic therapy of cancer and the tumor microenvironment. Some current projects include fluorescence and reflectance spectroscopic monitoring of skin cancer responses to PDT, imaging of fluorescent reporters of PDT-induced gene activation, light scattering from cells and tissue, optical properties of human cancer, and the development of mathematical models of photodynamic processes and dosimetry. The research is interdisciplinary and highly collaborative. The University of Rochester Institute of Optics houses the laboratories of Professor Rolland's group, who investigates novel instrumentation for illumination in photodynamic therapy of the oral cavity. The outcome of the research contributes to enabling as well as lowering costs of treatments, which are currently challenging to conduct. The research involves non-imaging optical system design, fabrication, and testing of the devices. The research is interdisciplinary and interfaces on one hand with the optics industry in optical fabrication and on the other hand with the medical center for testing of the devices.